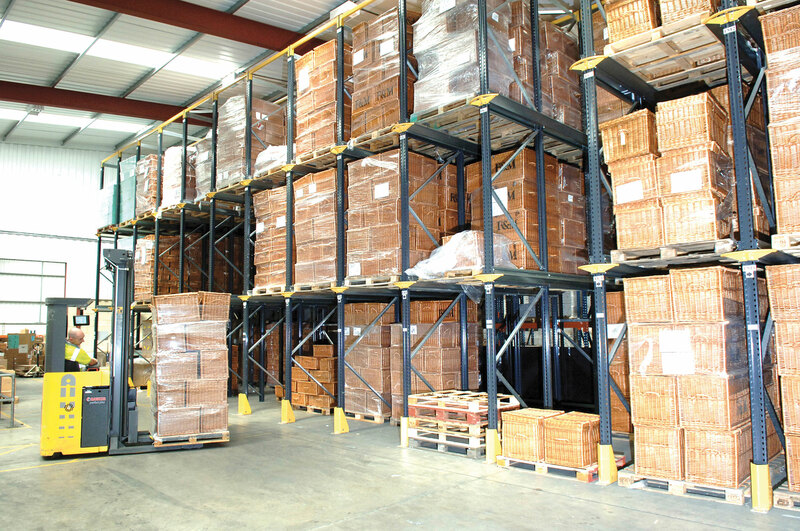 Is another variation of Pallet Racking we have been designing and installing for many years as it provides a highly space-efficient solution to the storage and handling of palletised goods. 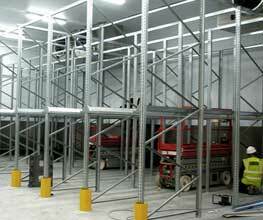 Drive In Racking systems use heavy duty pallet racking frames spaced a little over one pallet distance apart in the width. 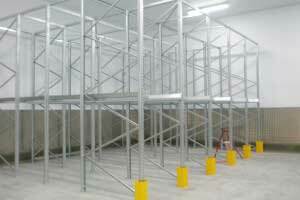 Small stub arms are mounted at each pallet storage level, onto which guide rails are bolted to almost the full depth of the racking installation (most often 3 to 6 pallets deep, but sometimes deeper). 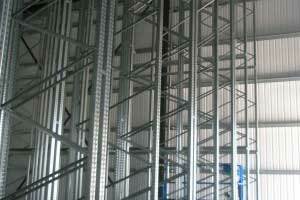 The last pallet position in the depth of the drive in racking system is formed of traditional pallet racking frames and beams and the guide rails are bolted to the front beam. This helps to significantly improve the structural stability of the entire system as it provides a cost effective bracing system. 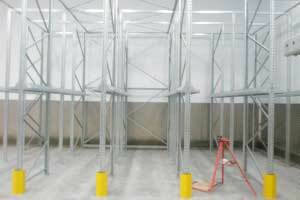 Drive In Racking can be used against a wall or in the middle of warehouses, but it can only be accessed from one side. 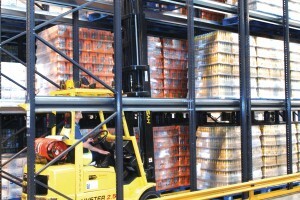 To load and retrieve pallets the forklift trucks drive into the storage lanes, pallets are stored on the back level positions first and then working their way forward in the racking until full, retrieval of pallets is obviously in reverse, which means the racking requires "last-in, first-out" stock rotation or is full of a product type that will be emptied at the same time or does not have a shelf life. 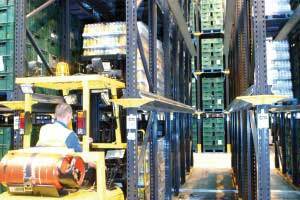 By dispensing with access aisles these racking system provide high-density storage in a given area to increase capacity by some 60-80% over conventional ‘aisle’ racking. 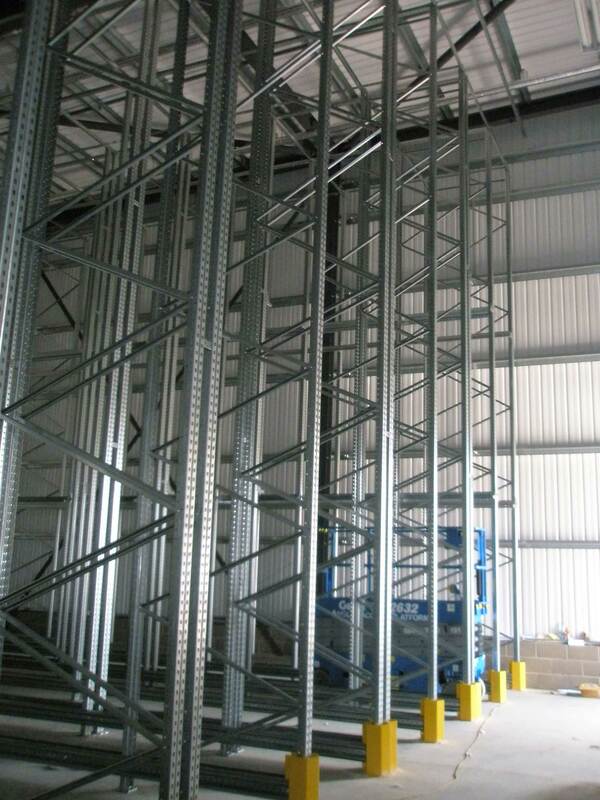 Racking heights up to 11 metres allow the available building height and floor area to be used to provide maximum cubic storage space. Drive Through Racking system installations are less popular nowadays but they use the same frames spaced a little over one pallet distance apart in the width. 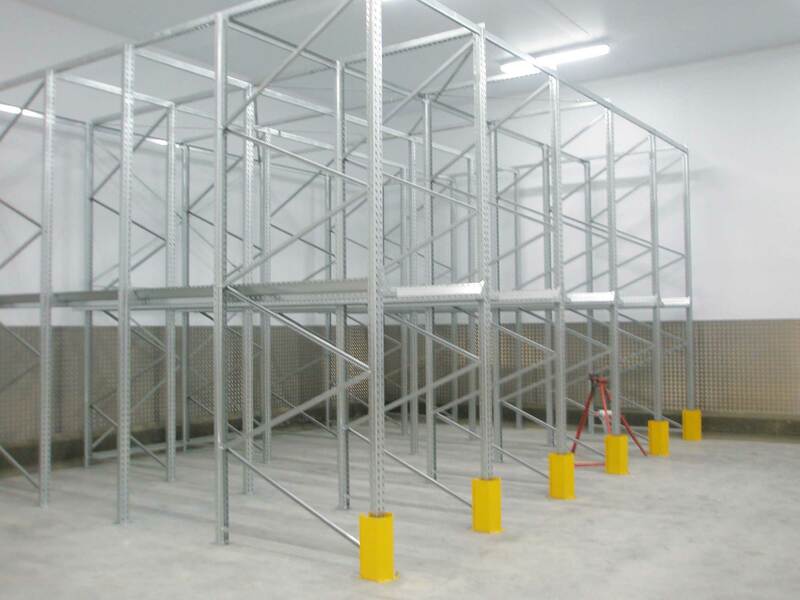 Stub arms at each pallet storage level, have guide rails bolted to them for the full depth of the racking installation (most often 6 to 12 pallets deep, but have been deeper). 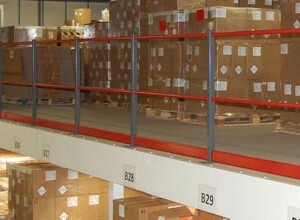 Because the forklifts can drive through the each racking lane it is not possible to have a rear bracing system so the structural stability for drive through racking is achieved by horizontal and vertical bracing built into the pallet racking frames and across the top of the system instead. 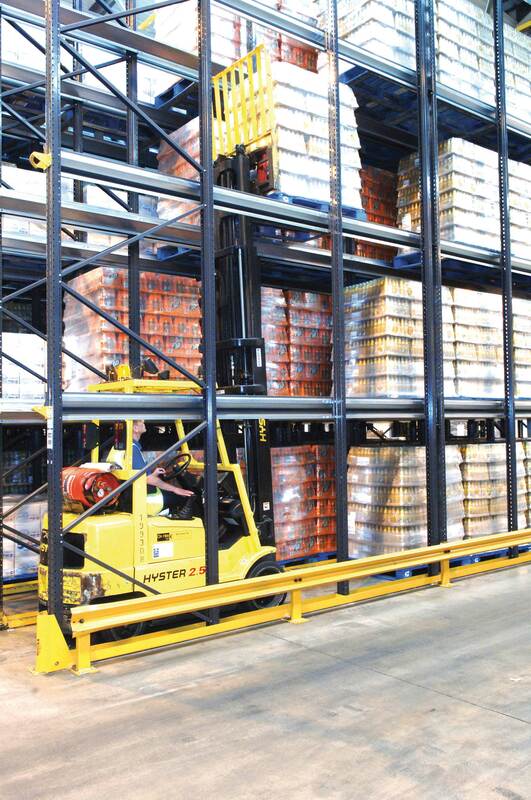 Drive Through racking has to have a forklift aisle at each side to enable the forklifts to load from either side or to drive through it. Loading and retrieval of pallets is the same as Drive In except the storage lanes can be loaded from both sides, or unloaded from one and loaded from the other. 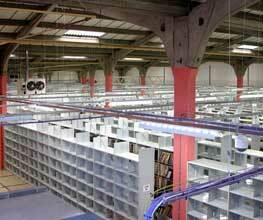 This provides a more flexible racking system with less restrictive storage / stock rotation. 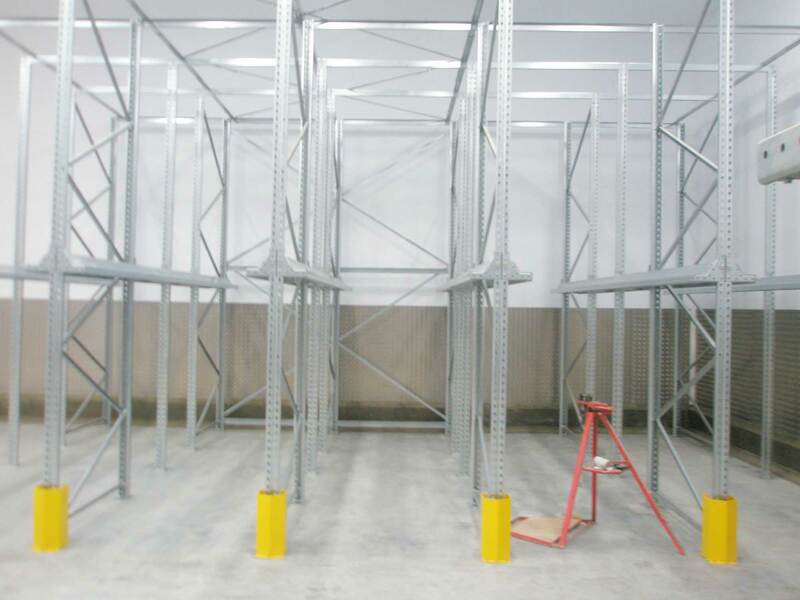 Whether you want Link 51 drive in racking / drive through racking or you would prefer to specify a different racking manufacturers system like Dexion, Apex or others we would be pleased to quote you for the design and installation. 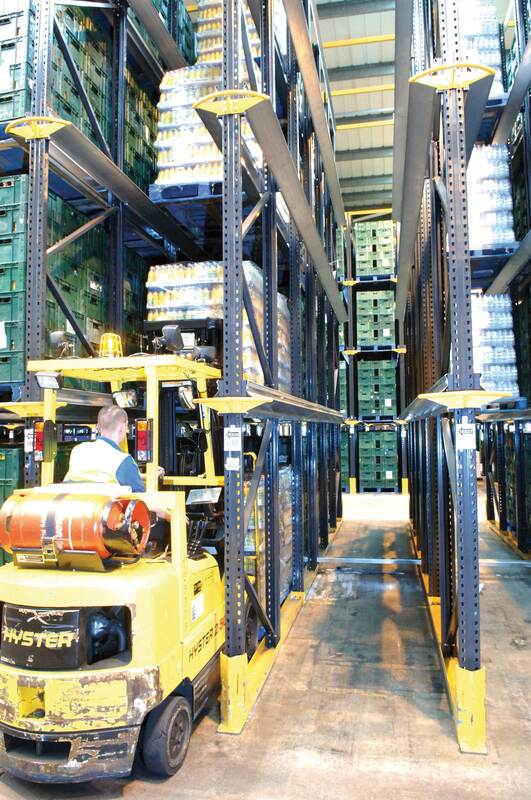 Both racking systems are ideal for optimum space utilisation without requiring specialist handling equipment or forklifts, the right one for you depends on your specific stock requirements.